It’s bluebonnet time in Texas. Given fair weather and a healthy crop of our lovely state flower, thousands of people will head into the countryside to take photos of hills turned blue. 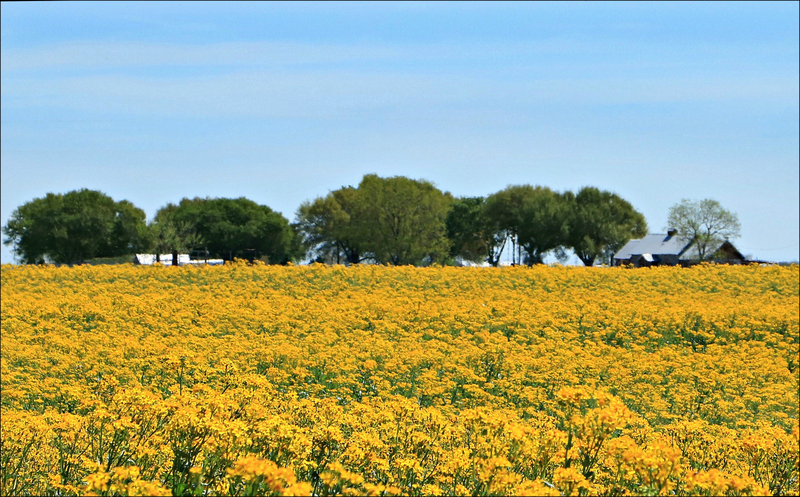 “Going to see the bluebonnets” is a Texas tradition, and a fine one. 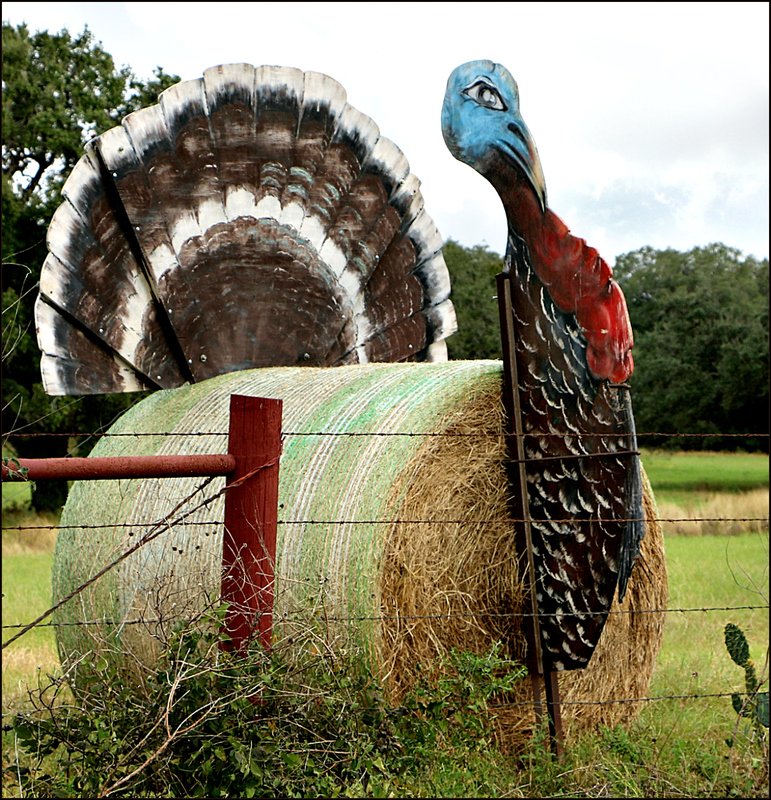 But bluebonnets aren’t our only spring delight. Indian paintbrush and pink evening primrose can bloom just as enthusiastically, and other plants occasionally put on their own remarkable shows. 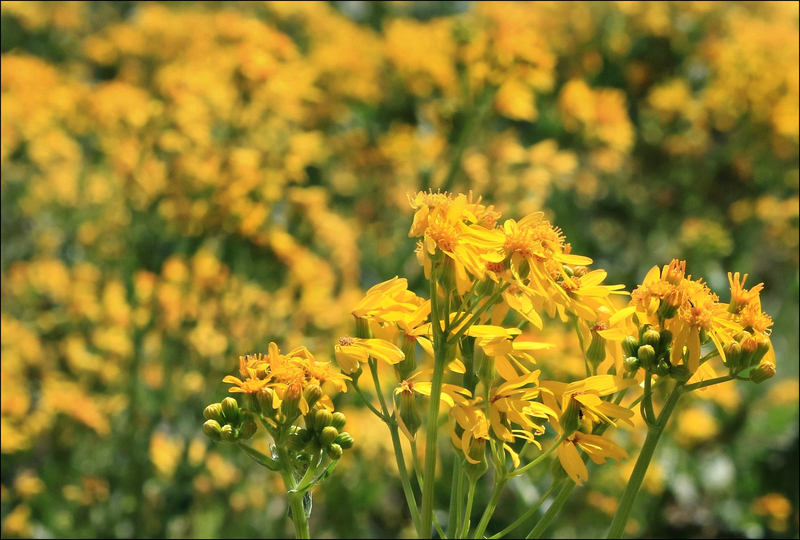 Traveling State Highway 71 last week, I discovered acres of Texas groundsel glowing with uncommon intensity. 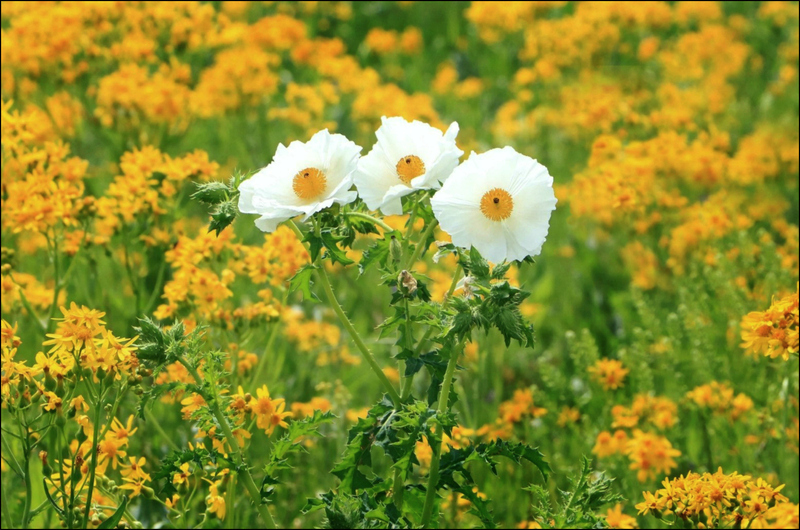 Spread across ranch fields and filling ditches on both sides of the road, accompanied by hundreds of white prickly poppies, the flowers tossed and bobbed in the wind: an extraordinary, glorious sight. Whatever you’re storing for the winter — be it acorns, soybeans, apples, or nuts — be sure to choose your container carefully. 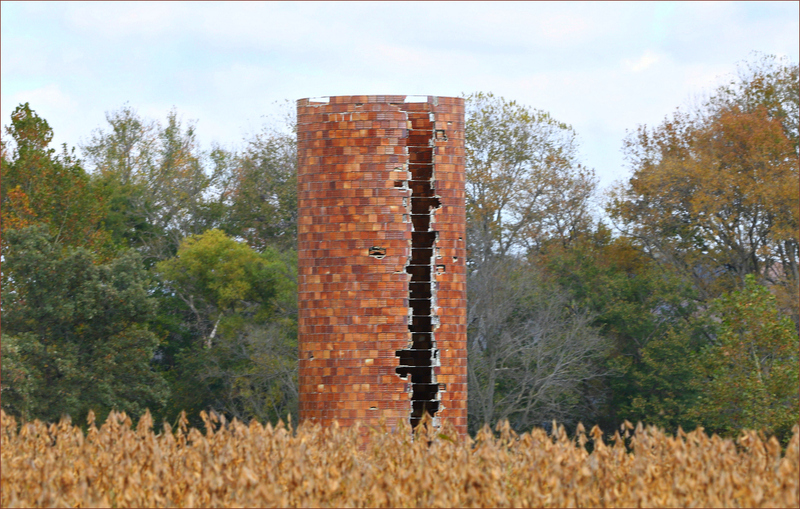 A bit of additional information: After looking at photos of similar silos, it became obvious that the split in the side was common. Mike Holder, District Extension Director for Agriculture & Natural Resources in the area, told me that the space would have been taken up by a series of small doors. Before filling, the doors were closed, and then the silage was blown in. As it was needed, one door after another was opened, beginning from the top, and the silage tossed down. Most doors were wooden, and they sometimes were removed when a silo was no longer used.